Located in North San Diego County, Visions In Art has been successfully serving all of Southern California for over 25 years. 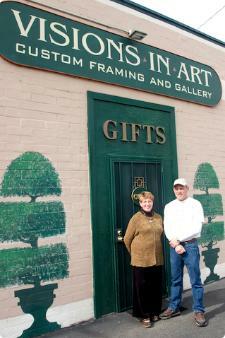 We are a small family owned business with personal hands-on expertise for your treasures. House "Staging" And Framed Art "Rentals"
Located in the Historic Downtown Vista, Visions In Art has often been dubbed "VISTA'S HIDDEN TREASURE!" We appreciate you calling for an appointment so we can better serve you.